Former City of Bridgeport employee Donnie Tate has become the second individual to file to run for City Council in the June 11 Bridgeport Municipal Election. The first day to file a certificate declaring candidacy was Jan. 14. That process will be open through Thursday, April 11. Tate is the second applicant in the Council race thus far, said City Clerk Donna Krivosky. Tate joins Jeff Smell as the only individuals who have filed to run. Maxey has announced he will not seek re-election. For the past year, Tate has worked for R&T Enterprises, where he serves as a salesman on coal-related services and products. Prior to that, he was an employee for Bridgeport Parks and Recreation. Along with his high school education, the 41-year-old attended Penn State University where he learned methods of taking care of turf at athletic venues. 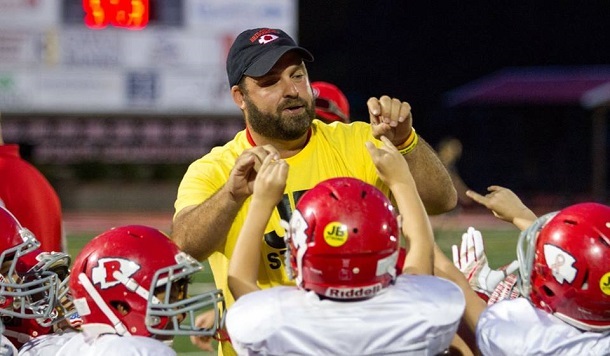 As for community involvement, Tate sits on the Bridgeport Youth Football Board and has and continues to serve as an assistant youth football coach. He lives in Bridgeport with his wife Sarah and their three children. To run for one of the three positions, certificates must be filed with the City Clerk’s office accompanied by a $25 filing fee no later than 4 p.m. Thursday, April 11, 2019. The election is nonpartisan, and any person who is a qualified voter of the City of Bridgeport may file. A qualified voter is anyone who is a minimum of 18 years of age, a resident of Bridgeport, and not under conviction of a felony or other disqualification. Certificates declaring candidacy may be obtained at Bridgeport City Hall, 515 West Main Street, between the hours of 7:30 a.m. and 4 p.m. Monday through Friday. Editor’s Note: Photo of Donnie Tate courtesy of Theo Frick.